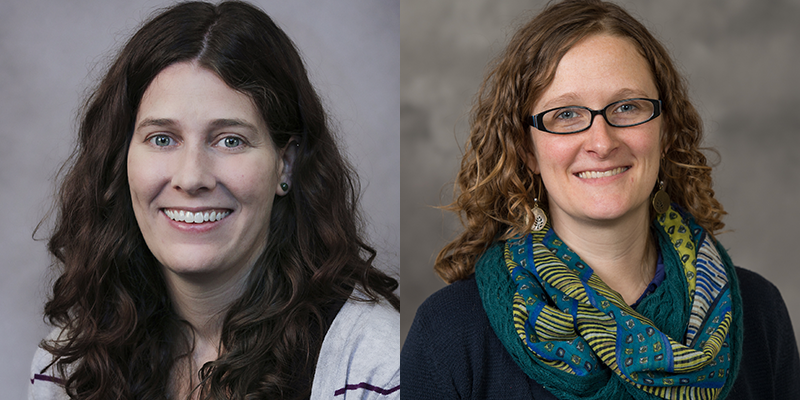 Carmel Price and Natalie Sampson are assistant professors at the University of Michigan-Dearborn. We know the costs. According to the National Center for Education Statistics, the average annual college tuition, room and board for 2016-2017 in Michigan was $21,823 and $33,489 at public and private non-profit institutions, respectively. And, the Institute for College Access and Success informs us that 63 percent of our graduates have nearly $31,000 in debt upon graduation. Many students face challenging economic choices: tuition, books, or food? Myths persist that suggest this is an acceptable status quo during college. Many of us conjure up fond memories of microwaving packages of ramen in dorm rooms. College is a great equalizer in which students improve opportunities in life by eating skimpy meals and hunkering down to study and socialize, right? College often exacerbates class differences, though. Middle- and upper-class students are more able to pursue unpaid internship, networking, or volunteer gigs that prepare them for competitive post-graduation opportunities. Meanwhile, many low-income, working class, and first-generation students are taking jobs unrelated to their fields to cover costs of attendance, living expenses, food, and, for some, their families’ needs. Given the additional economic stressors, these students also experience disparities in time to graduation and completion rates. The Hope Center for College, Community, and Justice estimates that nearly half of undergraduate students experience food insecurity at some point during college. And, this isn’t experienced equally. In their 2017 survey of 43,000 students at 66 institutions in 20 states, black students were 17 percent more likely than non-Hispanic white students to experience food insecurity in the last year. Among community college students, 42 percent were food insecure in the last year, compared to 36 percent at four-year universities. The number of campus food pantries registered with the College and University Food Bank Alliance tripled, from approximately 150 to over 650, within the last five years - with 26 registered members from Michigan. Michigan is actually home to the first U.S. campus-based food pantry, which started at Michigan State University in 1994. MSU’s pantry now serves over 4,000 students and their families, distributing over 35,000 pounds of food annually. On our campus at the University of Michigan-Dearborn, we serve as many as 100 students a month through our small pantry that started in 2013. In 2017, Wayne State University launched the W Food Pantry and is already serving 1,300 students annually. This story of pantries opening and feeding hundreds of students at colleges and universities across Michigan is repetitive. For the last three years, our research team has convened annually with campus pantry administrators from over 20 Michigan campuses to discuss how to navigate this new and complex reality for higher education. In our research interviews with campus pantry clients across Michigan, students have shared their realities. One student told us how she encouraged her children to sleep in on weekends so she could feed them two meals a day instead of three. Another referred to shampoo provided by our campus food pantry as “gold” since she often couldn’t afford to purchase hygiene items. Many more explained, sometimes in tears, how their campus food pantry got them through a personal economic crisis. More work is needed to understand how campus food assistance programs impact student success, but evidence thus far indicates outcomes are positive. For example, Wayne State University, in a partnership with Michigan Department of Health and Human Services, invites caseworkers to campus once per week to support students apply for state and federal benefits, including SNAP, state emergency relief, and childcare assistance. Alongside water and shelter, food is the most basic human need. Our bodies need it to function. For those trying to engage in four or more years of intellectual growth and career preparation, our students’ minds need it, too. Do we want Michigan to be a place where all graduates can launch as active members of our economy? Then let’s feed them. At what point do kids become adults, where they are able to budget and manage available income/resources verses other desired endeavors and their likely returns? For too many, seems the answer has become never. Let them get a TRAC phone and give up their iPhone. Man, those idiot children, having to choose between being a lifetime ground under capitalism's wheels as an underpaid wage slave or starving for four years while trying to get an education. Why haven't they just pulled harder on their bootstraps? How dare anyone have the idea that you work hard for what you want in life. You may want to expand the circle of people you meet, Growing up 'poor', working for minimum wage while going to 'school', working with a wide range of people in a technology based global company, and volunteering with a few different non-profits, I have found hard workers, people willingly working in difficult situations, and sacrifice to gain knowledge and skills, and as a group diversity parental financial success was wide. If there were common elements in all was a desire to solve the problem at hand, to meet and exceed goals, to be a contributor to success. I surely won't discount humble beginnings, but with achievement beginnings fade, opportunities and activities become more valued. I wonder if you have looked into what is different in the experiences of the 'poor' and 'wealthy'. Have you ever heard the phrase about how kids learn from their parents, 'what you do, speaks so loudly they can't here what you say.' If learning is key to financial and social success, then seeing that everyday in one's personal environment makes it a lesson for life. The 15% exceptions you talk about are ones we should be interviewing and finding out what they are thinking and doing to breakout of their setting. I know how I did, but it didn't happen until after high school. As for the platitudes you hold in such disdain, maybe you should try to find what they were built on and see how that is relevant today. As for your cliché's about education, money, buildings, Education, you fail to see that learning is done by the students, not by the buildings, by the Educational system, not even by the teachers. Because if the student doesn't have the desire to learn, the sacrifice to learn, the studying, then there will be no learning. We have a couple of generation of applying your clichés that have proven to be disappoint, maybe its time to look past them and at the student, their role/responsibilities. So you buy the idea that students just have no other options except shelling out $30K+/- per year (for how many years?) to maybe get some degree that may or may not give them any form of realistic payback when and IF they finish? Sounds like a serious lack of creativity and of course it's easy for folks who pay little to no taxes to favor all sorts of government programs. No one, including parents or students question why colleges cost so much. Why? This is an unacceptable practice in our state. We need to lead the nation in educational reform at the post secondary level. Our college age michiganders deserve a real chance to come through college without debt and yet dedicated to keeping their talent within the state. We must encourage and aide our leaders in making a bold move forward in creating a stable educated workforce in our state that attracts businesses to rebuild our still struggling economic recovery. Too many are paying for degrees that are worthless when trying to support yourself. Thank you shedding light on such an important issue. Food is necessary for student success. So then eat first and go to college IF YOU CAN AFFORD TO. That was easy. Another non issue raised to the fore. So many things wrong with this guest commentary - where to start? Seems like the norm today is taking longer than 4 years to get a degree. I can't believe the courses are that much harder today than they were 40 years ago. Where did the expectation come from that one would get a degree then jump right into a high paying job? So you may not be able to get that high paying job to support all you want in life right away. What is this about needing childcare while in college? Seems to me the decision to have a child requires some thought, so why do students have children and think someone else will support them? Oh yes, someone else didn't provide free birth control so it never got used. Geez, you want college, work for it, but don't forget that many fields offer better paying jobs with an apprentice type degree. There is no simple solution to this problem. I agree many should consider that don't require 4,5,6,years or more to go into. At about 1.5 Trillion in college debt it is greater than the debts for credit cards. Community colleges are a great place to start and if necessary explore your options. Open to suggestions, Peace R.L. College has become a scam and is ripping off parents many who will pay what ever it costs to get their child's name on a diploma. We graduate thousands of students from colleges/universities each year who are suppose to be smart and knowledgeable but the world's problems seem to be getting worse. What are we paying for?